On Sunday 9 December 2018 our Young Actors will share a snapshot of their spring productions with friends and family. At WCTT Young Actors Company, we have a proud tradition of sharing our work in progress at Christmas. 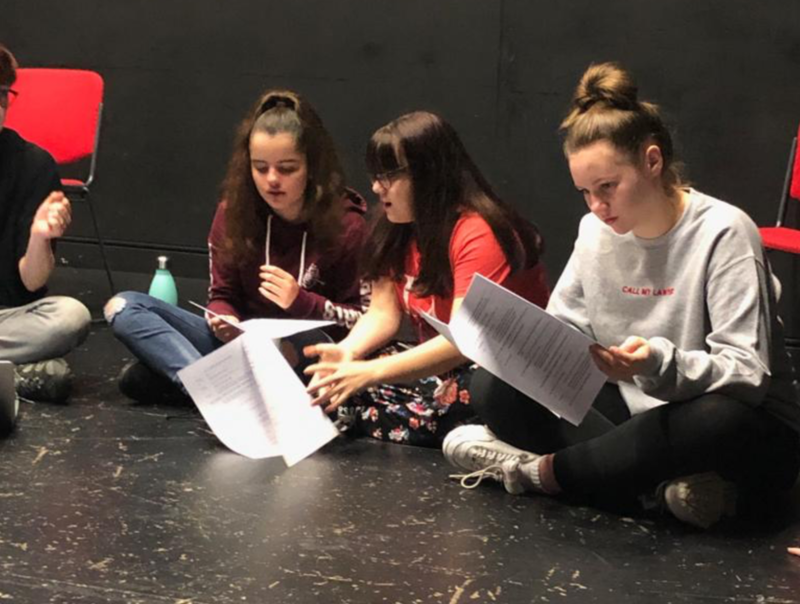 Scratch performances or open rehearsals are particularly important for actors when they are involved in the devising process; it allows them to gauge audience reactions to the work so far and gather feedback to harness as they continue to write and rehearse. These sharing sessions also encourage our Company to start conversations with the audience about the issues tackled in their plays, and new ideas they might have for their characters. This December, we’re inviting friends, family and carers to the Ricards Lodge Drama Studio to see informal open rehearsals for our Troubled Waters season. From 11am, Act One will be practicing their highly scented lemon tale, Lemon Heaven. At 1:15pm, Act Two will provide a short introduction to Thames Tales, the play they are performing at the Royal Albert Hall as part of Merton Music Foundation’s Liquid History concert in March, including a sneak preview of the first 15 minutes (we’re told – confidentially – that there may be some singing). Act Three offer exclusive access to rehearsals for their original show, To Walk On Water at 4pm. As well as giving friends and families a flavour of these three world premieres, we’ll also be adding some seasonal fun with prize raffles on the day: all proceeds raised from the raffles will be used to help fund the forthcoming season of shows. We hope to see lots of our extended family and supporters on Sunday; we can’t promise a snow flurry this year (brrrrrrrrr), but we can guarantee lots of fun and bags of talent. Act Two reading through the first few scenes of Thames Tales. All three world premieres in our Troubled Waters season include ideas and input directly from our Young Actors; our authentic youth theatre gives young people in Merton the chance to explore their uniqueness and creativity, as well as their talent. We also give our members a platform to engage with the community, using the arts to make meaningful connections and to make a difference.